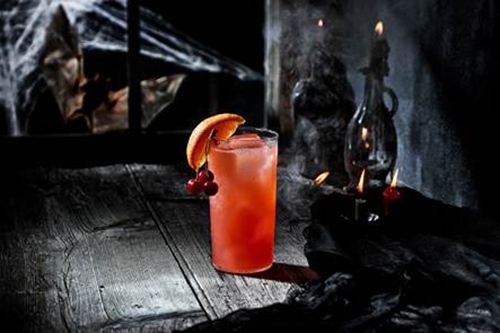 Halloween is just around the corner and BACARDI has the perfect creepy cocktail to enjoy this year! This BACARDI cocktail is perfect for your Halloween party or other social gathering. As Halloween nears, many people love to dress up in their creative Halloween costumes and have fun. There are many sponsored parties or social gathering with your friends. Of course, a great tasting cocktail is what we all need. Great food and spirits, not the ghoulish kind, makes for an awesome party. Be creative and try something new. What is your favorite cocktail? What type of food to you look forward to munching on? The new BACARDI Zombie cocktail is the ideal rum cocktail name for a popular Halloween drink. This delicious Bacardi cocktail is made with both BACARDI Superior and BACARDI Gold rum. Double yum! It’s a classic tiki cocktail made with rum that your party goers will love drinking all night long. · Pour all of the ingredients into a shaker full of ice and shake vigorously. Next, strain and pour into a highball glass filled with ice. Lastly, stir with a bar spoon and garnish with a cherry and orange slice. Enjoy! We hope you enjoy the BACARDÍ Zombie cocktail. It’s perfect for all your Halloween festivities. Be safe and don’t drink and drive. Be sure to enjoy the spirit of Trick or Treat make a child’s Halloween wishes come true. Make your Halloween party a memorable one with a delicious Bacardi cocktail. The perfect drink for your perfect party. Please stop by again to read more cocktail recipes. Contact us with help planning your next social event.